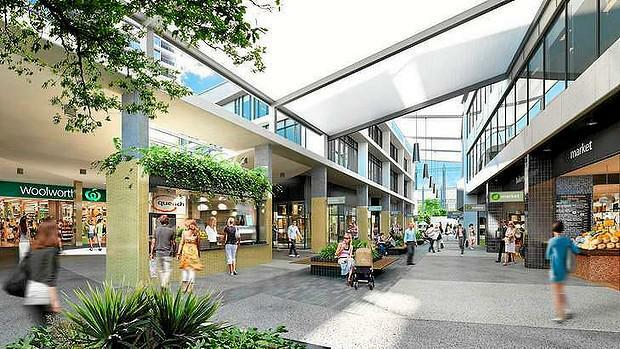 A long list of major retailers have opened their doors at FKP’s $1.1 billion Gasworks development in Newstead, Brisbane. The retail, dining and entertainment precinct is now home to 25 retailers including Woolwoorths, The Standard Market Company, Reef Seafood and Sushi and Peng You. Gurts Frozen Yogurt and Dessert Bar is situated on 58 square metres of space and is the first store of its kind to open in Australia. Salsa’s Fresh Mex Grill, Max Brenner, Campos Coffee, Active Living Room by Lorna Jane and Suncorp are among some of the other new tenants at the precinct. Lifestyle retailer Ollie & Lloyd will open their doors this week, offering quality homewares, fashion and accessories designed by contemporary luxury living. Ollie & Lloyd has secured 90 square metres of space and will be located adjacent to Woolworths. Hospitality operators, the Barakat and Moubarak Groups will also launch their new bar and restaurant Hatch & Co in the coming days. On completion, Gasworks will include seven buildings featuring a total of 17,000 square metres of retail, 103,500 square metres of commercial and approximately 750 residential apartments.